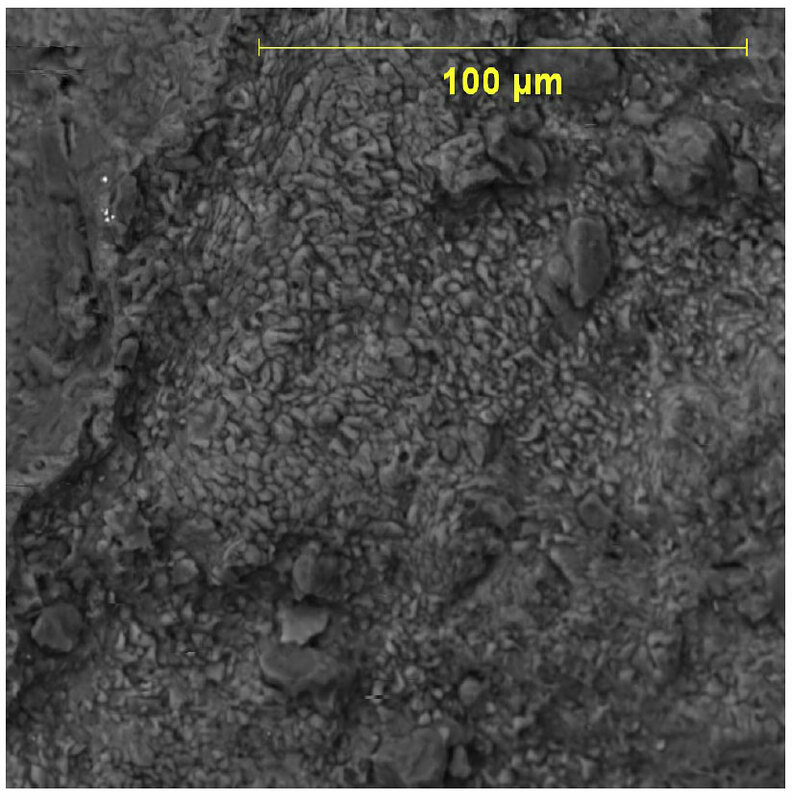 In early March 2010 I sent a number of samples to ASPEX Corporation to be imaged with a Personal Scanning Electron Microscope (PSEM). It was part of their free scanning promotion talked about in this February 26, 2010 post. 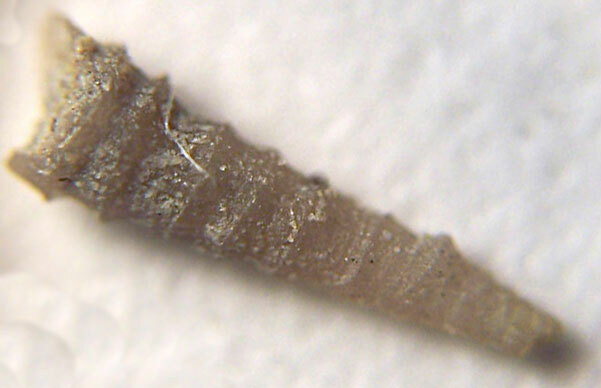 One item sent was Cornulites tube from the Ordovician Period. The fossil was found in the Kope Formation of Carroll County, Kentucky. Yesterday, I received the results which I now present in this posting. Binyam of ASPEX Corporation was the analyst and report preparer. 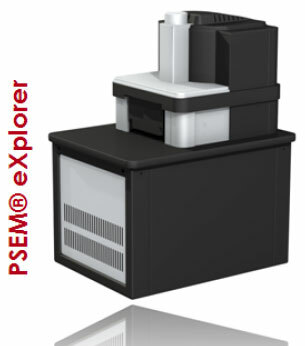 He used the PSEM eXplorer (image below) to analyze this fossil (above). 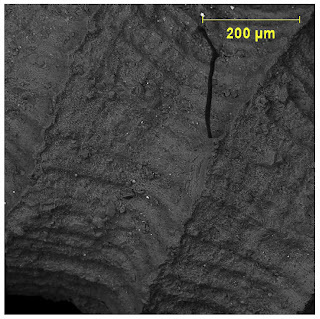 A manual SEM and EDX Analysis was done using Backscatter electron detector (BSED) to collect images under variable pressure conditions (0.15 Torr) and 20 KeV. 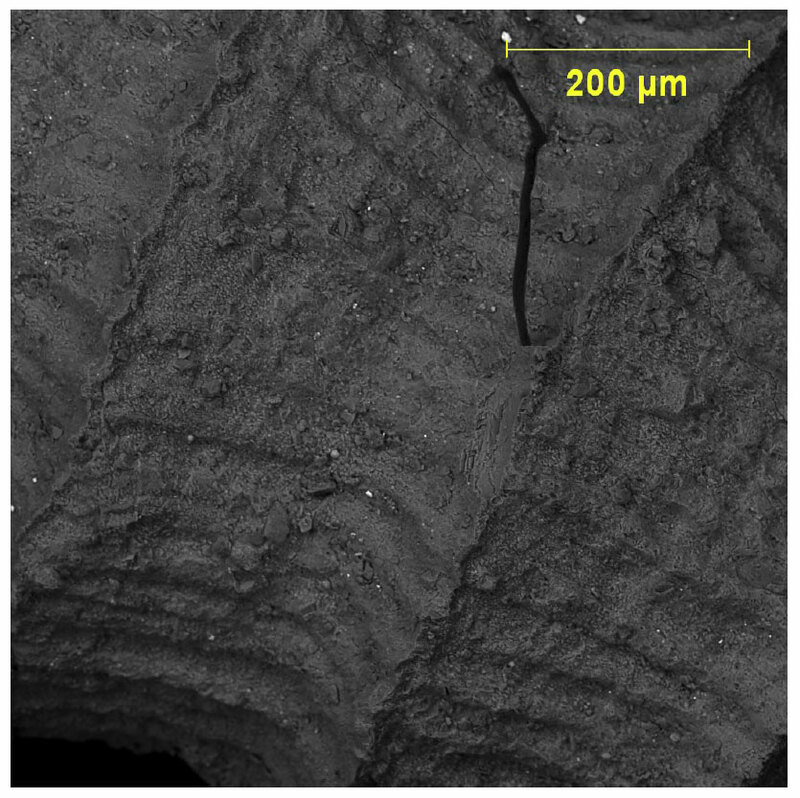 Here is a SEM image with 200 um scale of the area between multiple growth rings. 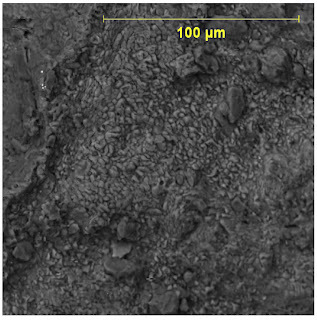 A even more close up view provided by this image at 100 um scale. Yikes, I need to clean these fossils better! Thanks to ASPEX for doing this analysis and imaging! Visit this weblink for more information about their promotion.